A Brick Township police officer who is currently suspended without pay has been formally indicted on charges of official misconduct and stalking in a case stemming from allegations that he used his official capacity as a police officer to stalk his former girlfriend. Justin A. Delaney, 33, a Brick resident, was indicted by an Ocean County grand jury on Wednesday, said Al Della Fave, spokesman for the Ocean County Prosecutor’s Office. The indictment alleges that between November 2012 and May 2013, Delaney used various social media, including Instagram and Facebook, to publish “harassing, annoying, humiliating and alarming messages” about a former girlfriend, a statement from the prosecutor’s office said. Investigators were able to link the various social media accounts to Internet Protocol, known as IP, addresses that were registered to Delaney, according to prosecutors. Delaney is also alleged to have used a prepaid cellular telephone to make harassing and offensive text messages and phone calls to the victim. The official misconduct charges stem from the allegation that Delaney used assets available to him through his job in the course of the alleged stalking. Delaney allegedly used a password he obtained in his official capacity as a law enforcement officer to access a law enforcement investigative database without authorization, the indictment states. Delaney is also accused of improperly accessing the database after the victim asked for his assistance in trying to determine the source of the harassing telephone calls and text messages. Delaney allegedly accessed the database and provided the purported results of that inquiry to the victim. Della Fave said the Brick Township Police Department gave their full cooperation during the investigation leading to this week’s indictment. 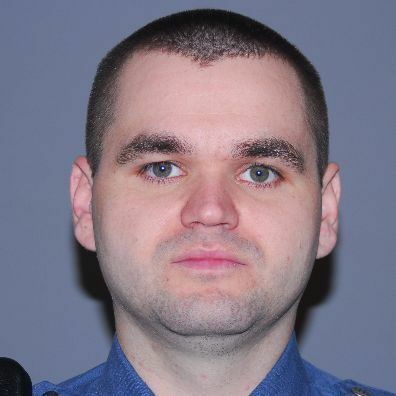 According to a story published in the former Brick Bulletin newspaper, Delaney, a 1999 Brick Memorial High School graduate, was hired by the Brick Township Police Department in 2006 after already working for the Brick Township Municipal Utilities Authority for four years. Becoming a police officer fulfilled a “lifelong dream,” he told the newspaper. “I’m proud of the accomplishment of making it this far and I look forward to the rest of my career,” he said before being sworn at the Aug. 8, 2006 township council meeting, the newspaper reported. Delaney, who earned a $111,056 salary in 2013, remains free on $30,000 cash bail. If convicted on the official misconduct charge, Delaney is facing a maximum potential sentence of 10 years in New Jersey state prison with a stipulated period of parole ineligibility of 5 years. He is facing a maximum jail term of 18 months in state prison on the stalking charge. The case will be prosecuted by Chief Trial Attorney Laura Pierro, Della Fave said.